This magnificent, gold cushion cover is a real showstopper in your interior. 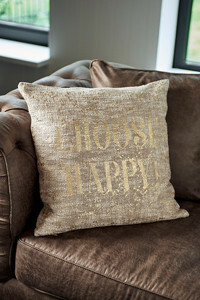 It has a metallic imprint that reads: 'Choose Happy!'. Turn your sofa into a party destination with this sublime cushion.